Whether it’s teaching, note-taking, or simply giving time for children to express their creativity, chalkboards have always been the essential method. Chalkboards provide a large and expanded surface onto which anything can be written or drawn; thus making them an essential part of class, office, and home life. Regardless of the circumstances of use, chalkboards are always convenient and efficient in order to get the job done. However, one drawback for chalkboards is the traditional bulky and heavy frame the object possesses. 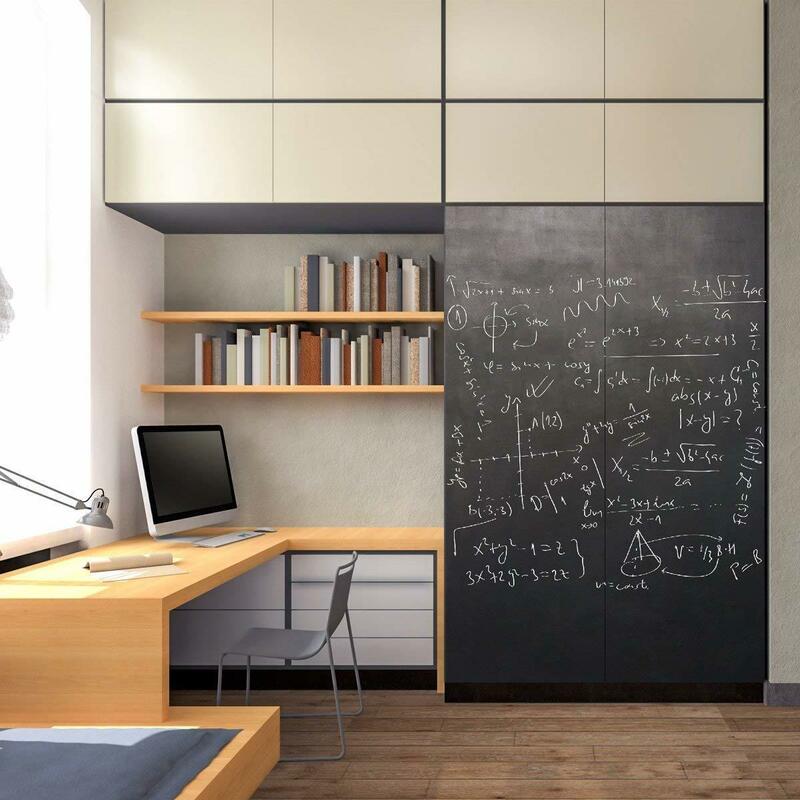 Since chalkboards are not typically light, nor small, adequate space needs to be granted in order to install one. Moreso, the process of installing a chalkboard can be tedious, with drilling and measuring dimensions being part of the operation. 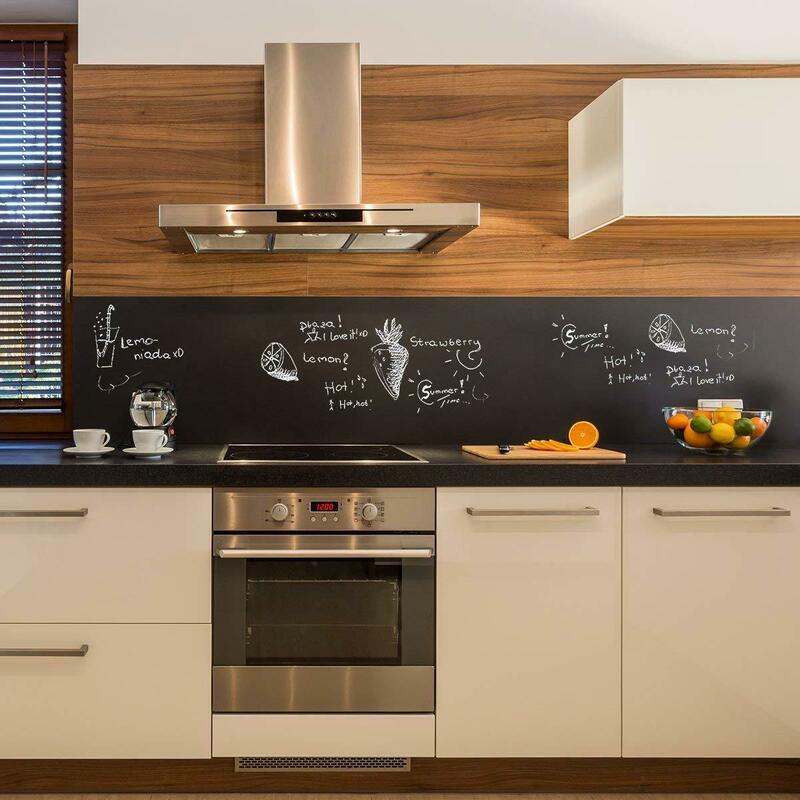 For all the convenience that chalkboards provide to everyday life and working life, the process of setting them up may sometimes deter their use. This is where 123ink and Moustache have joined in arms in order to provide parents, teachers, students, and office workers with the best chalkboard. Innovating the concept of a chalkboard, the Moustache Chalkboard Sticker offers all the benefits of a chalkboard without any of the drawbacks. 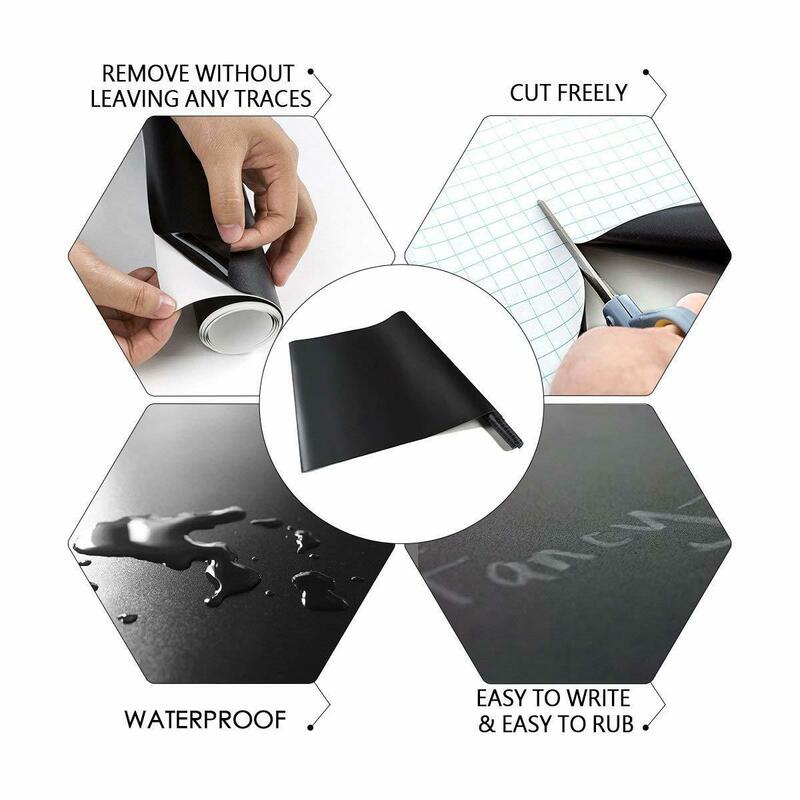 All you have to do is unroll it, detach it from the paper backing, and apply it to a smooth surface; and there you have it, a chalkboard that solves all the issues of traditional chalkboards! The Moustache Chalkboard Sticker can be placed wherever you desire; since it does not need any additional utilities in order to be installed. Students can attach it to their walls in order to make study planning more convenient, it can also be placed in offices where a typical chalkboard could not have fit, thus making planning and flowcharting easier for the user. The household utility is also great since it can be attached to fridges to make easier note of grocery shopping, or anywhere in the kitchen. More importantly, its safer for the children. 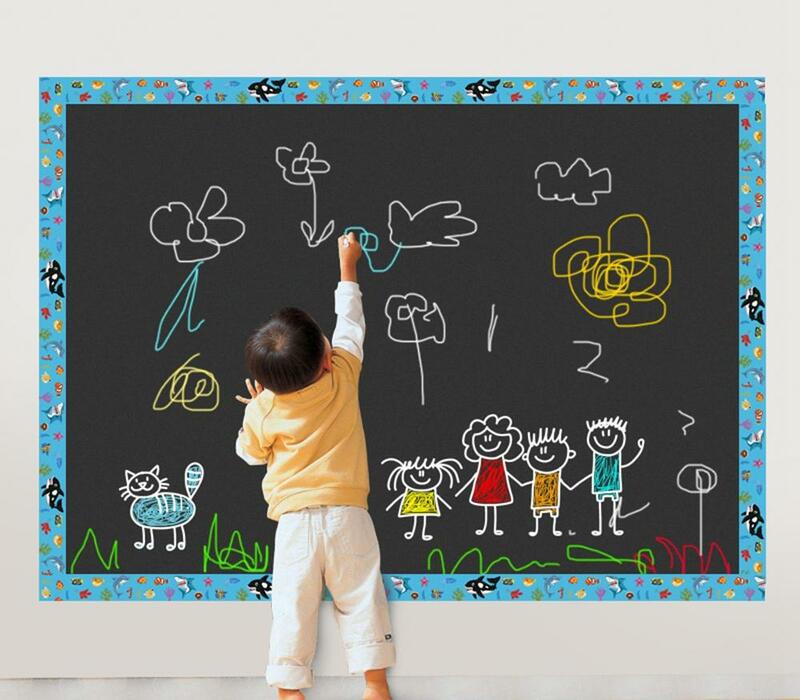 Because traditional chalkboards are bulky and heavy, they present a risk for children in case it was not installed properly. One wrong push, pull, or tug on the chalkboard could injure the child. 123ink and Moustache only think of the safest and most convenient products for our customer, and this Chalkboard is no exception. Nullifying the risk of injury by removing the bulky nature of chalkboards from our product, it helps in making a child safe environment even safer. Parents rejoice! Not only are you children safer, but so are the walls! Children are creative and like to express their creativity wherever needed, even if it’s the walls at home sometimes? Now they can still do that, but your walls will be protected by a layer of the chalkboard; it’s a win-win!